Introduced in 1962, the iconic shape and Strat like features of the original Vox Phantom guitar made it an instant hit for Vox. 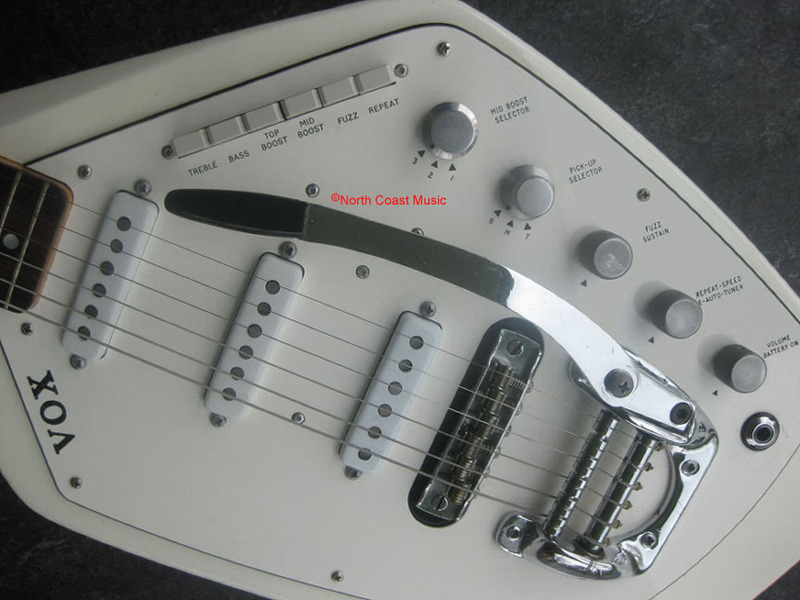 Vox expanded the marketability of the Phantom franchise by introducing numerous variations of the guitar. 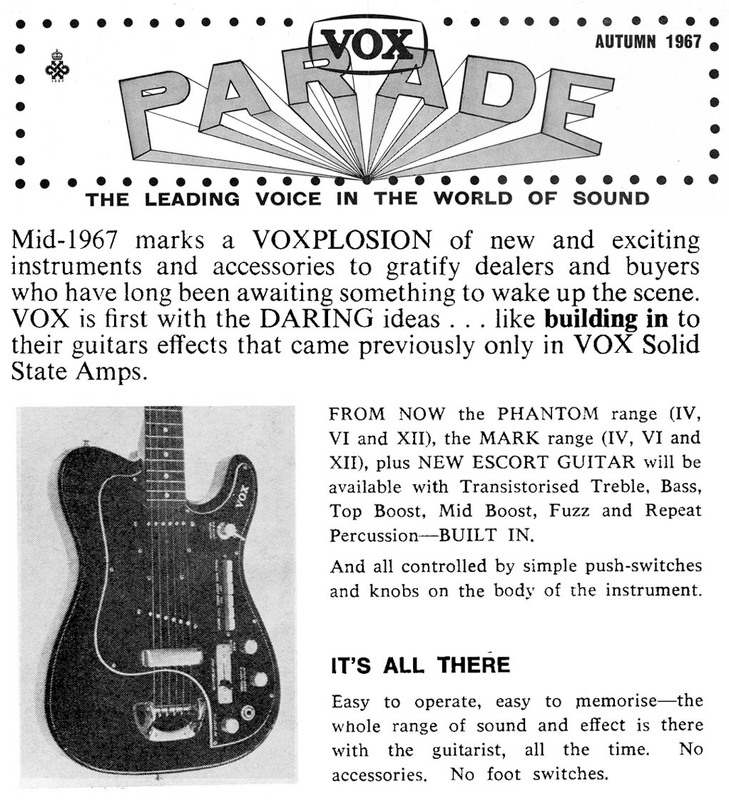 In addition to twelve string, bass, and guitar organ versions, Vox introduced two new six string versions: the "Phantom VI Stereo" (1965) featuring three offset split coil pickups and the "Phantom VI Special (1967)." Like the standard Phantom, the Phantom VI Special featured three single coil pickups, a rotary three position pickup selector, and a vibrato arm. The Phantom VI Special added onboard battery powered guitar effects operated by six push buttons mounted to the pick guard. These buttons actuated the Treble Boost, Bass Boost, Top Boost, Mid Boost, Fuzz and Repeat Percussion circuits. A second three position rotary switch toggled between three mid boost frequencies. Additional rotary controls adjusted the Fuzz Sustain (level), Repeat speed, and volume while another enabled a "E" reference tone for tuning your guitar. The volume control also served as an on/off switch. My thanks to Martin Kelly, author of the forthcoming book "Vox Guitars - The JMI Years," for sharing photos of his Vox Phantom VI Special with the Vox Showroom.